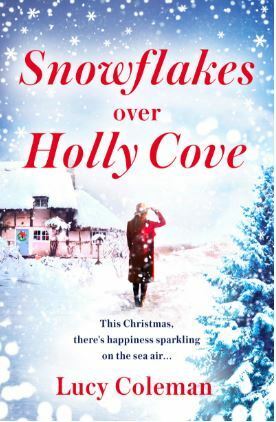 I’ve written three Christmas novels so far – well – four, technically, as I’ve just finished my Christmas 2019 release. And I usually end up writing them during the summer months. So, I think I qualify as a Christmasaholic. Quite simply, I LOVE Christmas. But that doesn’t mean every single one has been perfect. We had the year that chicken pox meant we had two very poorly children indeed. And the first year after my Dad died. My tears plopped down onto my Christmas dinner plate as I ate, knowing nothing would ever be quite the same again. As in life, Christmas can’t always be full of laughter and happiness. But having experienced the sad times is precisely why the excited inner-child within me wants to trim up on the first of December. And keep alive the things that have become traditions in our family. It’s never about the presents, although buying things for the kids is always fun. It’s standing in the kitchen making homemade mince pies, and alternative ones because I hate mincemeat. And the memories. The year our fully-decorated, six-foot tall blue spruce tree decided to topple over and I rushed to stop it. Painful. The first year the whole family came to me for Christmas dinner and the duck looked half-raw, so we had cold pork instead. And the year the turkey was attacked by a neighbour’s cat as it sat on the window sill, cooling. Sitting around the dinner table pulling Christmas crackers and telling silly jokes at the tops of our voices because my partially-deaf uncle forgot to put in his hearing aid. After attending midnight mass one year it began snowing as we walked home. That was truly magical. We end up having three Christmas celebrations now, because our family is spread around the UK. I’ve discovered that Christmas isn’t just for the 25th of December. It’s about the spirit of the thing – goodwill to all men and the memories you make. And that comes from your heart, not in a nicely wrapped box. Or a delivery from the supermarket. I hope everyone has a truly wonderful Christmas. But if this year turns out to be your Christmas from hell, focus on getting through it as best you can. When you come out the other side pick a date and have an alternative celebration. Cheesy Christmas hits and all. Then set your sights firmly on next year! So Tia heads to Holly Cove where the restorative sea air, and rugged stranger Nic, slowly but surely start mending her broken heart. Linn is the bestselling author of more than a dozen novels and is excited to be writing for both Aria Fiction (as Lucy) and Harper Impulse (as Linn); she’s represented by Sara Keane of the Keane Kataria Literary Agency. A surprise Christmas parcel from Linn is up for grabs this month! The parcel includes a book, a bauble, and chocolates! My Aunt shot her husband in the shoulder during Christmas dinner 2016 and now my mom puts a first aid kit on the table next to the ham. I have never read a Christmas-themed book, but this one sounds light and fun. And, it’s set in Wales near where my mother grew up and I visited tons when I was young. Thank you for the recommendation. I don’t have any crazy holiday stories to share. One Christmas, we went to pick up my great-grandma to take her to grandma’s house with us, and my dad came from her apartment crying. She had died over the night. We celebrated Christmas early the next year. Do you have a crazy Christmas/holiday story to share of when something went wrong, but ended up being something you look back on or value now? Actually yes. Our first Christmas, we had my entire family including my grandmother and great-grandmother over to our house for Christmas dinner. Everything went well until dessert, when it was discovered that my great-grandmother as substituted salt for sugar in the pies. That was the only Christmas in my now 40 years I spent with MY family members, My mother as well as my grandmothers are gone now, so that Christmas remains pretty special.